Cash rewards for safe new drivers combined with the ultimate tool for parents to effectively coach; more than just insurance, InsureMy and Trak are leaders blazing a trail toward life-saving changes for driver safety. 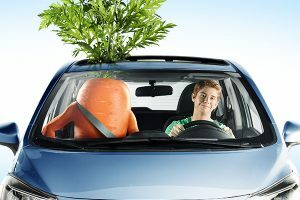 Alberta and Ontario – March 8, 2018 – InsureMy Inc., a Calgary-based insurance brokerage, in partnership with Trak Global Group, the UK based market leader in insurance telematics, today announced the official launch of Drive With Carrot – a power play to create a new generation of safer, smarter drivers, and improve road safety for all. Gord Mansfield, Vice President, InsureMy Inc.